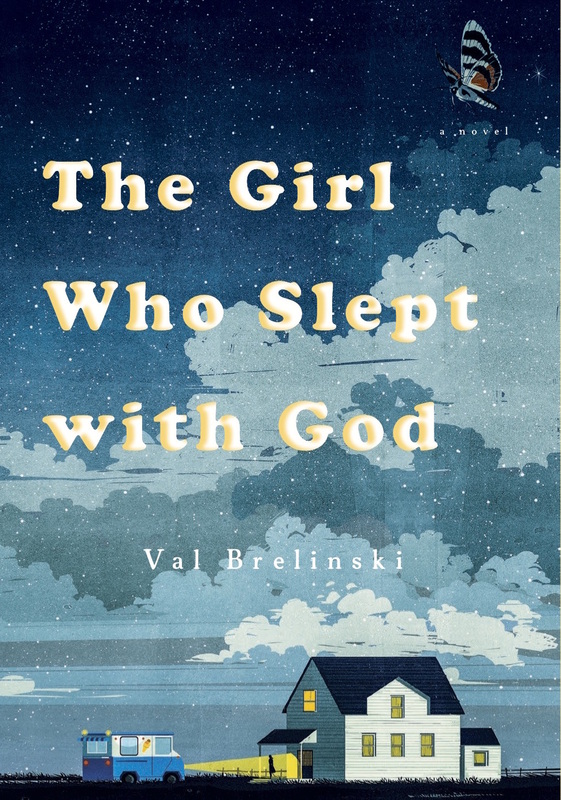 The Girl Who Slept with God is Val Brelinski’s extraordinary debut novel, so perfectly formed that it feels like the work of a seasoned author in the prime of her career. It’s no surprise to discover that Brelinski grew up in an evangelical Christian family; her details are so real, she’s obviously drawing on personal experience. She renders the Quanbeck family — Dr. Oren, Mom, Grace, Jory, and Frances — with truth, grace, and compassion. They’re odd ducks, but they’re smart, charming, and charismatic odd ducks. Though a tragedy of sorts has struck the family — Grace, the eldest daughter, has come back pregnant from a mission trip to Mexico — the book initially feels cheerful and positive. Certainly the middle sister and protagonist, Jory, is unhappy to be moved to a house outside of town to look after Grace, but Brelinski has drawn such a strong family culture that it feels like Jory and Grace will be an outpost of the main Quanbeck domicile. Their father promises to bring groceries and check on them. Jory’s new school — a public school! — will be an expedition into another culture, a sociology experiment. Dr. Quanbeck’s can-do attitude will convince even a modern reader that he’s just doing what needs to be done to solve this temporary problem, after which the family can brush the dirt off their hands and get back to reading books in five reclining lawn chairs in a row. Readers will find Jory’s sense of confusion, frustration, and questioning evenly balanced with her sense of adolescent possibility. The youngest sister, Frances, and the girls’ mother provide an important perspective: Mom’s inability to act and Frances’ youthful incomprehension of the seriousness of events are a clear contrast to Jory’s gradually awakening understanding of the broader world and the Quanbeck family’s place in it. Jory’s strong but increasingly complicated affection for their father shows through at every turn. Brelinksi handles her compelling characters with such skill that when events turn ominous, it still feels like the Quanbeck family (plus Jory’s ragtag collection of friends) will surely overcome their difficulties. However, as events unravel, it turns out that no one is who he or she seemed to be. Jory suffers through the passion and confusion of first love, Grace shows the depths hidden by her devout persona, and their father’s tenuous grip on the situation crumbles. The conclusion is shocking but feels almost inevitable. The Girl Who Slept with God is a joy. Its deep passages are beautifully written, and the dialogue is fresh and believable. 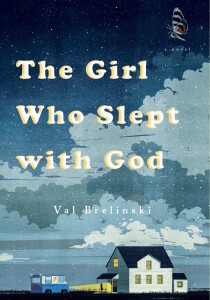 Its topics range widely — from true faith, to fitting in, to loving the wrong person, to what really makes a family — and in the course of conveying all of those important concepts, Brelinski leads readers to care deeply about the flawed and very human characters at the core of the novel.